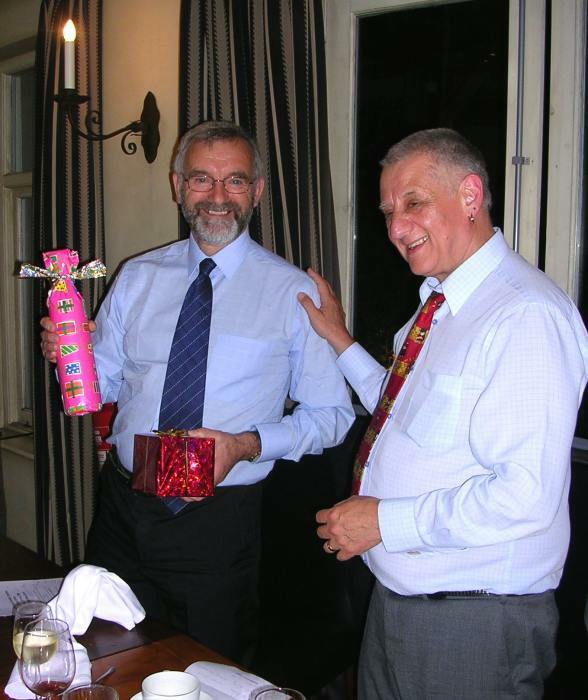 Andrew Taylor (right), the new Chairman of Atomic Spectrometry Updates presenting Phil Potts, the outgoing Chairman, with a bottle of wine and an engraved tankard. Review 3 will now be called Atomic Spectroscopy which will combine the former review on Advances in atomic emission, absorption and fluorescence spectrometry, and related techniques with the topics of inductively-coupled plasma mass spectrometry and isotope analysis. Topic Group Co-ordinator for this group will be Dr E.Hywel Evans. There will be a new review on Elemental Speciation with a writing team headed by Dr Chris Harrington. The Board Dinner was held in the Abbey Well Dining Room at the Hotel Du Vin, Brighton. Members enjoyed excellent food with good organisation by the Hotel staff. Phil Potts retired as Chairman and, as the photos show, was presented with gifts by the new Chairman, Andrew Taylor. Jeff Bacon, who was Topic Group Co-ordinator for the Update on Atomic Mass Spectrometry for many years, has retired from writing but the group will continue to benefit from his experience in his new role as a referee. 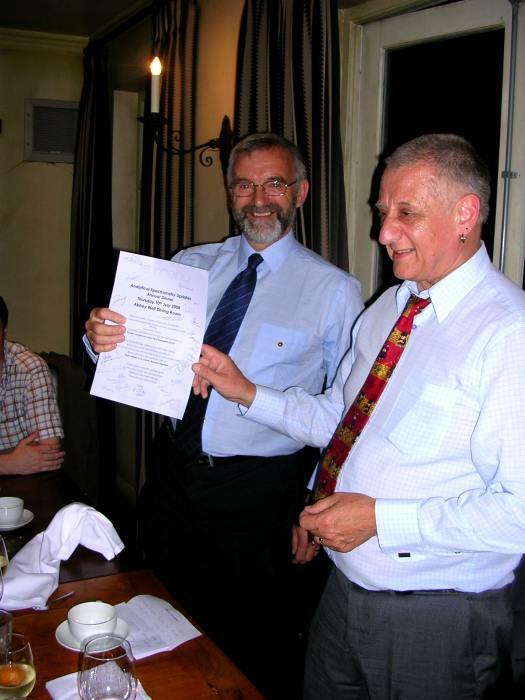 Phil Potts (left) with a copy of the menu signed by all members present.